In cooperation with S333 Architecture + Urbanism, 3RW architects were responsible for the development of planning proposals for the waterfront in Filipstad in Oslo. The assignment includes planning the new downtown area where residential, commercial and public functions are the constituent elements. Over the next 10 to 20 years, Oslo reestablish contact with the water. Fjord City project is planned as one of Europe’s most exciting urban developments It covers 225 hectares from Frognerstranda west to Ormsund in the southeast. The project will meet the city’s increasing demands for housing, industry, culture and recreation, while it will enhance and concentrate the city’s major trading ports. 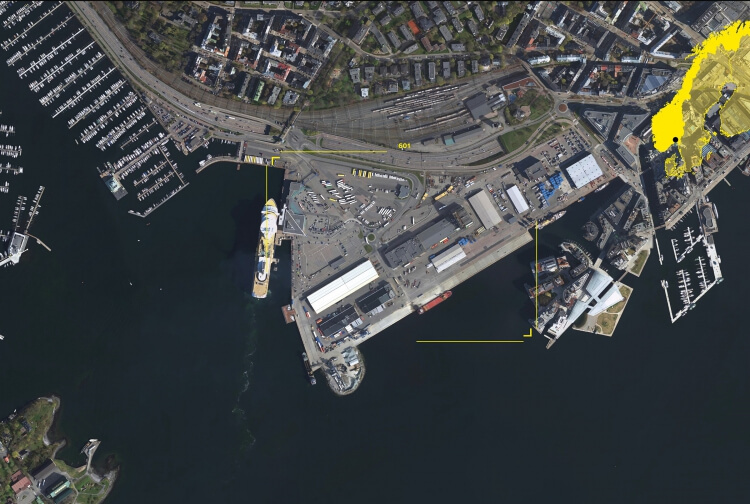 Most ports and cargo areas along the fjord are transformed into places where people can live and work near the sea. An essential objective for Oslo Fjord is the creation of a continuous line of parks and public spaces along the entire Oslo’s waterfront. In Filipstad the strategy follows the introduction of a water channel and longitudinal park linking Frognerstranda west towards Tjuvholmen and Aker Brygge in the east. Channel and future activity along this will help to strengthen the central area.